On 23 February 1980, Zanu PF took the United African National Council and others to the High Court protesting against the electoral playing field which they believed was against them. Zanu PF was led by Robert Mugabe and the UANC was led by Bishop Abel Muzorewa, who was the Prime Minister of Zimbabwe-Rhodesia. Zanu PF’s complaint was that the UANC was bribing voters with food, entertainment and other activities at rallies. Zanu PF was effectively the opposition party, fighting to win an election in the first democratic elections in 1980. This is an experience which they seem to have deliberately forgotten over the years. They and their supporters now accuse the opposition of being petty and a nuisance when they complain of an unlevel playing field in which biased electoral authorities are in charge. They either have short memories or they just don’t care because they are now he ruling party, enjoying the benefits of incumbency. Even the electoral authority, the Zimbabwe Electoral Commission (Zec) have adopted the same narrative, accusing the opposition of being petty as they raise issues of concern. Here is a reminder of Zanu PF’s concerns and complaints as an opposition party in 1980. They took in to court, seeking an interdict against the UANC. The UANC was holding its Huruyadzo (the biggest) rally — which would last four days. It called it “the biggest rally in the history of Zimbabwe” with “so much to see and so much to do”. UANC was the incumbent. They were loaded. Zanu PF was unhappy with the way it was being conducted. There would be all-denominational church services, choirs, “Soul Savers pop band” and “aerobatic displays” and wrestling matches. Five hundred buses and nine trains had been hired to transport people from all over. Food was available and those in Salisbury would be allowed to take their share home to cook. Drink would be plentiful. A total of 250 000 numbered leaflets were distributed and there would be a draw on the final day of the rally, with six new cars up for grabs. These leaflets were campaign materials urging people to vote for the UANC. Zanu PF was unhappy with the UANC’s antics. They thought the provision of food, drink and entertainment and the draw at the rally was unfair. Their lawyer was Godfrey Chidyausiku, who later became an MP and minister, as well as the Chief Justice of Zimbabwe under Zanu PF. The court held that it was not an offence to provide transport, food or drink to people at the rally. What was an offence was to do so for the purpose of influencing a voter how to vote. The judge refused Zanu PF’s application to stop the provision of food, drink and entertainment at the rally. However, the judge thought the draw was a step too far. It was not necessary to get people to the rally, he reasoned. The judge granted an interdict in respect of the draw for the brand new motor vehicles. In other words, he stopped the UANC from conducting the draw for the vehicles, at Zanu PF’s application. This was a victory for Zanu PF as an opposition party against an incumbent who was abusing his proximity to the State and had access to abundant resources. The point is that, as an opposition party Zanu PF knew that the playing ground was not level. They knew that it was tilted against them. Zanu PF has forgotten the pain of being an opposition party fighting by an entrenched system. Some would argue that they have not forgotten; that in fact they learnt from that bitter experience how to stifle an opposition. One of Mugabe’s staunch allies was Enos Nkala. It was in his Highfield home that Zanu PF was founded in 1963, essentially a group that rebelled from the Nkomo-led Zapu. Nkala was such a rabble-rouser that Lord Soames who was the interim governor in the lead up to the first democratic election in 1980 banned him as a candidate. In fact, there was pressure on Lord Soames to ban Zanu PF altogether or at least in some regions. The pressure came from the Rhodesians who were already fearful of a Mugabe and Zanu PF victory and also from other contestants who thought Zanu PF was using violence. There was widespread concern that the liberation parties had swapped real guerrillas with young men who instead went to the assembly points while the guerrillas remained in the village to conduct political education and intimidate. There was an ever-present threat from Zanu PF that they would return to war if they lost the election. At the same time, Mugabe was the subject of assassination attempts. He was not well liked by the white community. In fact, he was feared and despised. Twice in the first few weeks of his return as an opposition leader, he survived assassination attempts, in Harare at his home and in Masvingo, returning from a campaign rally. These threats on his life were real. This caused him to write a memo to Lord Soames, protesting against his treatment. According to Meredith, Mugabe protested that the British authorities and the Rhodesian authorities were colluding to destroy and disadvantage his party. The exchanges between Mugabe and Lord Soames became “increasingly acrimonious”. In the end, Lord Soames decided not to ban Zanu PF which was a relief to Mugabe and the party. The important thing here is that Zanu PF was conscious of their harsh treatment by the system. They fought it using all strategies. They even threatened to return to war, which would have wrecked all the efforts the peacemakers were trying to achieve. Zanu PF was in opposition mode and they knew they had to fight. Over the years, however, after Zanu PF became the governing party, they seem to have forgotten what it feels like to be an opposition party. They simply morphed into the same creature they were fighting in 1980. The first target was Zapu, which was the main opposition in the 1980s. Nkomo had to flee for his life. His key lieutenants were either jailed or killed. His supporters were targeted — tortured jailed and killed. That was Gukurahundi. This went on until Nkomo succumbed and his party was swallowed by Zanu courtesy of the Unity Accord in 1987. Thereafter, Zanu PF consolidated its power. It lost the battle to become a de jure one-party state but for the next decade, Zimbabwe was effectively a de facto one-party state. The opposition from Zum petered out after a few years. The Forum party came, but had little effect. It was not until the arrival of the MDC in 1999 that an effective opposition really took effect. Thereafter, Zanu PF rediscovered itself again as the ruling party, with its object being to crush the opposition, the same way if not worse as the ruling party in 1980 had sought to stifle it. By then Zanu PF had captured the electoral institutions. The Electoral Supervisory Commission was captured. It became its instrument. Zanu PF began to behave just like the Rhodesian authorities had treated it. It got worse. In 2008, the Zec endorsed as free and fair an election which the rest of the world condemned as a charade. There was serious violence and vote buying, which Zanu PF had condemned in 1980. Everything that Zanu PF had fought against in 1980 has happened in the years afterwards. When the opposition complains today about the unfairness of the system, they are ridiculed as mere rabble-rousers. But the behaviour is precisely what Zanu PF complained of in 1980. Did Zanu PF forget what it means to be an opposition party? Or do they learn from the worst how to treat the opposition? 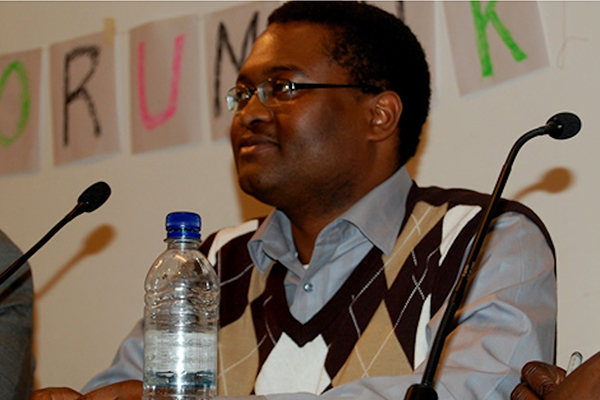 One scholar, Dr Thompson Chengeta has argued that Zanu PF needs to rediscover what it means to be an opposition party. He is right. Zanu PF and its supporters seem to have forgotten what it means to be in opposition. They and their supporters dismiss the opposition’s complaints at its blatant disregard of the law and bribery. Zanu PF has given motor vehicles to chiefs, which the opposition believes is an act of bribery to influence them to support its cause. In past elections it has made uneconomic decisions of cancelling debts owed by residents to local councils and power utility, all believed as vote buying gimmicks. Zanu PF would never accept these gimmicks. They would classify them as efforts to buy votes, creating an unlevel playing field. If Zanu PF remember, perhaps they just don’t care. But if they become an opposition party they will probably become a better party. Their supporters who think the opposition is being petty and a nuisance will remember that it’s not that simple. Maybe they will grow up and advocate for a better system, just as the opposition is doing now. But more importantly, given what happened in 19890, they may have forgotten that despite the unlevel playing ground and despite efforts to stifle them, they still prevailed. It was possible in 1980 and it could still happen in 2018, that people will go beyond the vote buying gimmicks of the incumbent, to do what is right. Much depends on the people’s will to give Zanu PF those important reminders.